“Chappaquiddick” puts a sharper focus on that legacy by reminding the world that the youngest of Joe Kennedy’s sons — and his last hope for another Kennedy White House — was either negligently or recklessly responsible for the gruesome drowning death of Mary Jo Kopechne. But are movies about political figures or events the right place to learn about history? And more interesting still, what do we learn about political actors today by the way that they react to such films? Last year, “The Post” told the story of Katharine Graham, publisher of The Washington Post and her undeniably brave decision to publish the Pentagon Papers. It’s hard to argue that too few people – especially college students – even know about that chapter of American history or understand its significance. It was a watershed moment in American political consciousness, because never before had trusted and venerated institutions so explicitly exposed the U.S. government’s involvement in political assassination, spying on foreign allies, and a litany of other covert activities designed to destabilize governments. So great was the shock and shame that when Sen. Mike Gravel (D-Alaska) read the Papers into the public record he wept with embarrassment at what Presidents Eisenhower, Kennedy and Johnson had done in our names. We were no longer the good guys. By this reasoning, politically historical movies can play an important role in whetting the intellectual appetite of those who want to learn history. But do these movies distort history, and are such distortions so great they nullify the “awareness raising” value? I don’t think so. One must assume that the filmmakers invented that character to create an obvious way of showing the sexism that Katharine Graham had to overcome. Similarly, the movie has Ms. Graham saying that she was going to publish the story “even though no lawyer would approve it.” Again, explains Graham, that part was wholly untrue: “Ben Bradlee specifically reached out to [famed attorney] Edward Bennett Williams who insisted that the newspaper publish the Pentagon Papers.” The filmmaker’s fabrication, although inaccurate, heightened the dramatic risk for the film’s central subject. Other recent films about political history have been subjected to factual criticism. In “The Darkest Hour” one of the film’s most stirring moments never happened at all. Winston Churchill did not ride a subway train (excuse me, “a tube”) and hold an impromptu speech stirring the patriotic feelings of the common folks like Henry V inspiring the troops on St. Crispin’s Day before the battle of Agincourt. In fairness though, filmmakers do not have hundreds of pages in which to make a point. Especially in movies that are dramatizations instead of documentaries, poetic license may be required to compress several hundred pages into a single 10-minute scene. If we’re willing to accept historical movies as somewhat fictionalized, there is value in the chance that such a film might spark a deeper and more academic interest in the subject matter. I must confess though, I can’t but help be reminded of Dan Rather’s “fake but true” approach to journalism that led to his firing from CBS, where falsities are used to propagate an unproven truth. The difference of course is that movies require some degree of suspension of our disbelief. Documentaries and news are no place for fictionalization. This brings us back to the reaction to the release of “Chappaquiddick.” On the weekend of the film’s release, The New York Times published an Op/Ed by Neil Gabler who called the film “outright character assassination.” (Gabler is working on a biography of Ted Kennedy and one suspects from his fevered outrage that it’s more of a hagiography than a critical assessment). In a preemptive move to dissuade people from seeing the film, Gabler says “no one but the most lunatic conspiracy theorists see this as anything but a tragic accident in which nothing much was covered up.” Despite the gaslighting, industry trade data shows that Gabler is not as influential as he wishes: the film earned between $5 and 6 million in its premiere weekend. There’s a certain degree of denial at work when people faced with an unpleasant fact say “we know this already. There’s no point in talking about it.” This effect goes beyond mere movie critics: Politico reports that former Kennedy staffers refuse to see the movie. Lawyer Greg Craig, who joined Kennedy’s staff in 1984 and later served as White House counsel to President Obama told Politico “I don’t believe there is anything about this tragedy that is going to change Ted Kennedy’s legacy,” he said, adding he “doesn’t feel the need to see the film.” Tony Podesta, who worked on Kennedy’s 1980 presidential campaign and was recently forced to resign from his multimillion dollar lobbying post after scrutiny from the Mueller investigation, feels the same way. He told Politico that “He doesn’t plan to see the movie and hasn’t discussed Chappaquiddick with anyone.” Most tellingly, Podesta refers to Kopechne’s death as “a footnote to history.” Jason Clarke, who played Kennedy in the film said the film “doesn’t try to sensationalize” the accident that Kennedy failed to report for 10 hours. 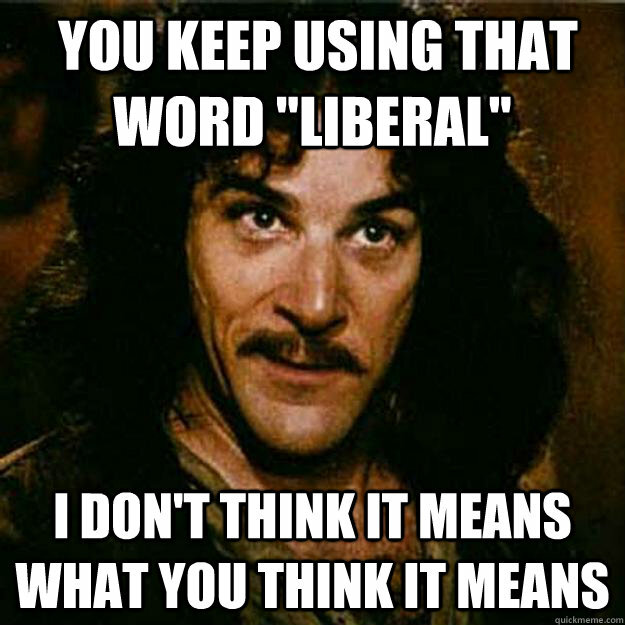 The Oxford Dictionary defines “liberal” as one “willing to respect or accept behavior or opinions different from one’s own; open to new ideas.” Yet this is not the first time alleged liberals (yes, I said alleged) have rallied to protect the Kennedy “legacy” from “new ideas.” Brave New Films, an independent film company sponsored by George Soros, Barbara Streisand and other left-wing millionaires went as far as to organize a boycott against The History Channel, demanding that the channel cease airing a 2010 series that did not follow the Kennedy worship line.